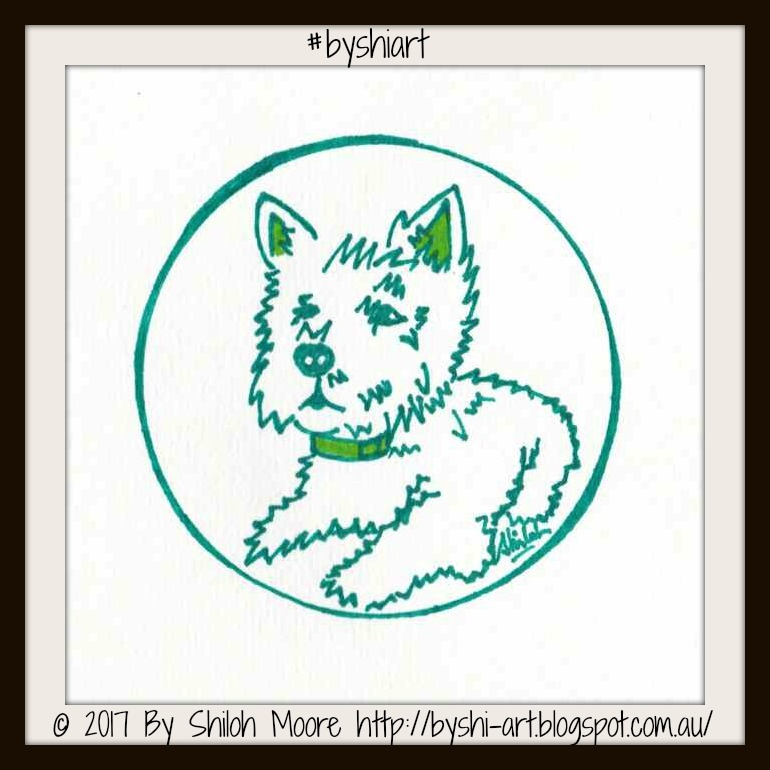 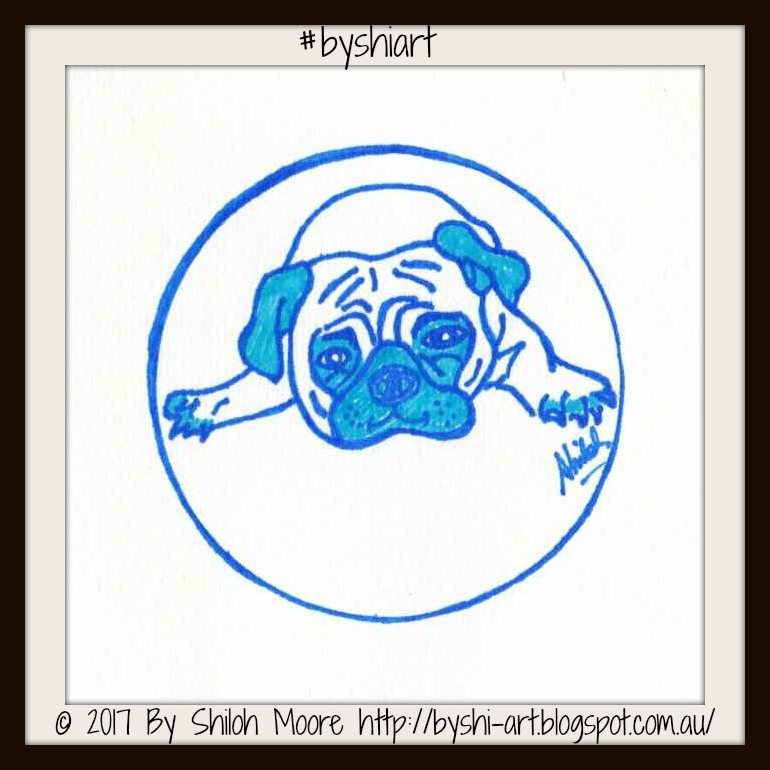 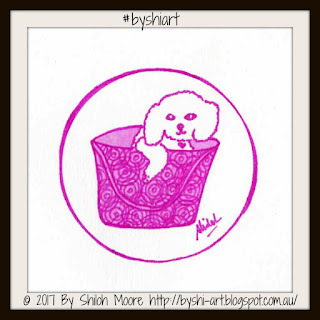 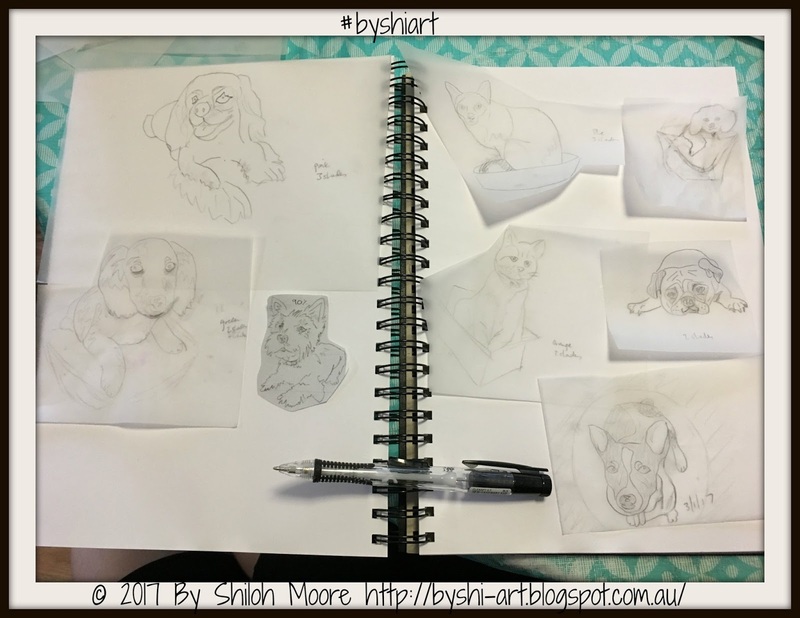 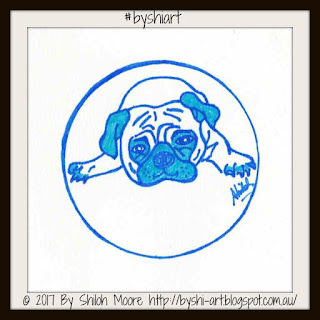 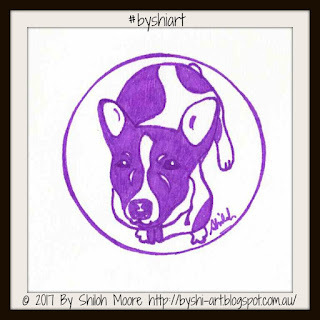 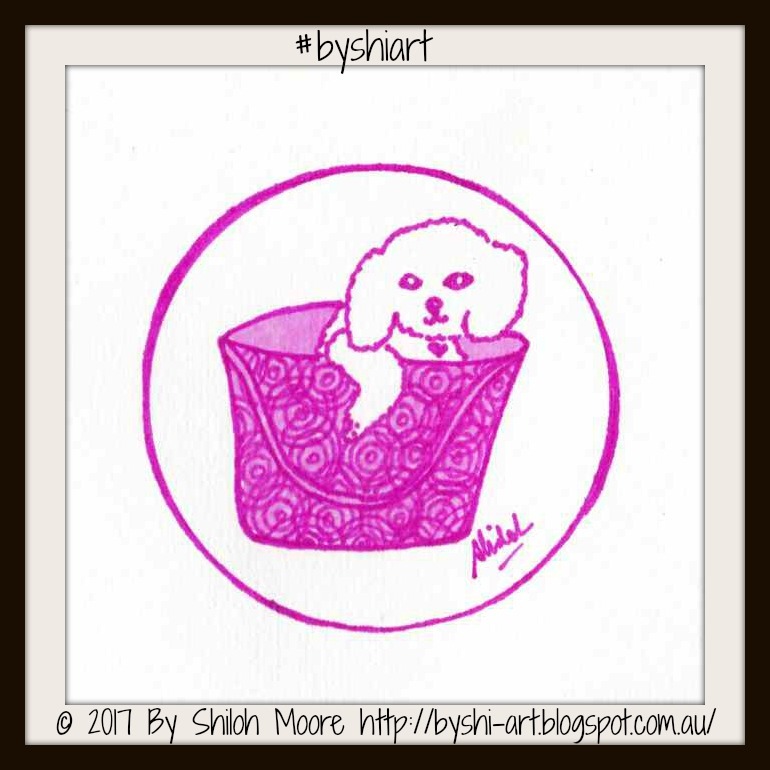 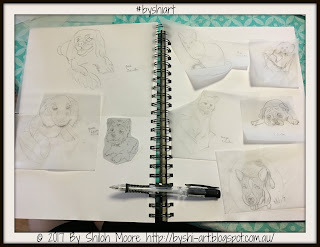 Inspired by my post 'Pop Art Tenterfield Terrier,' I decided to draw more of my favourite dogs. 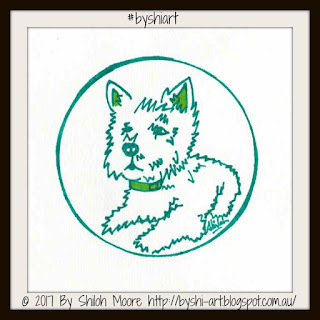 I chose a Bichon Frise, West Highland White Terrier (Westie), a Pug, and another Tenterfield Terrier based on dogs I know. 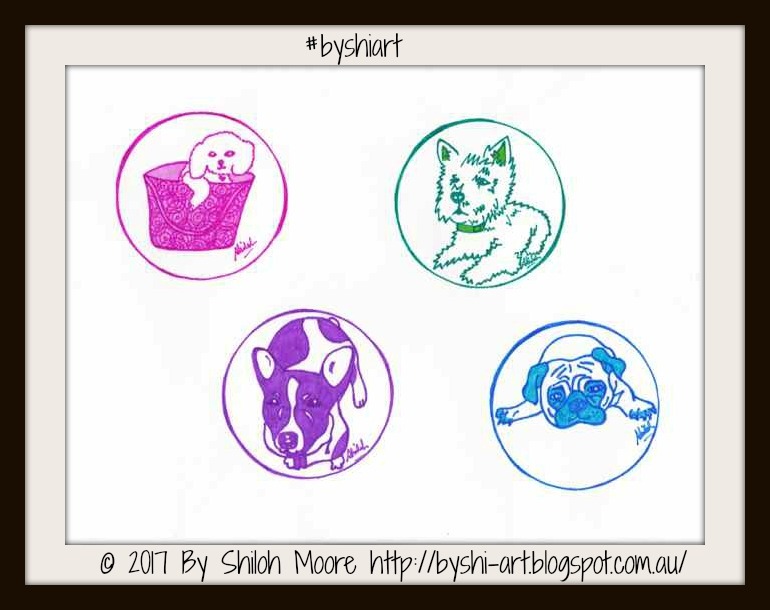 I drew them using Sharpie Markers on paper, using two tones of each colour for each dog. Below are pictures of the individual breeds of dogs.